We recently got a head of cabbage, and I wasn't sure what I wanted to do with it. Then James mentioned he thought some sauerkraut would be good, but I didn't want to risk making a whole cabbage's worth of sauerkraut only to not have it turn out since I remembered the last time I did, and we ended up discarding most of the batch. So I thought maybe I could make a few different batches. As luck would have it, I was also reading through Nourishing Traditions, and they have four sauerkraut recipes! I figured if I made 4 different batches, at least one would turn out, right? Plus, if they didn't, at least we wouldn't have to eat too much before moving onto the next flavor. 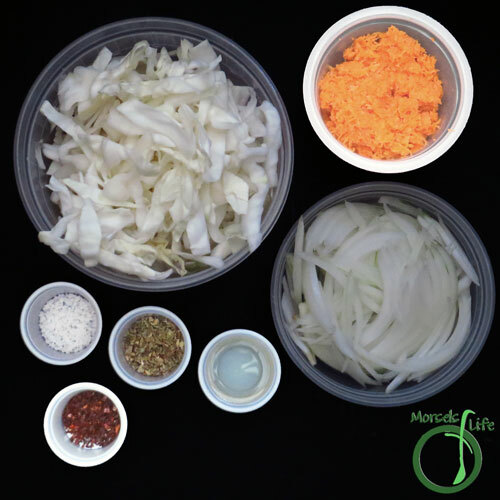 I'll share these four sauerkraut recipes (regular, Latin American, Korean, Japanese) with you over the next weeks. 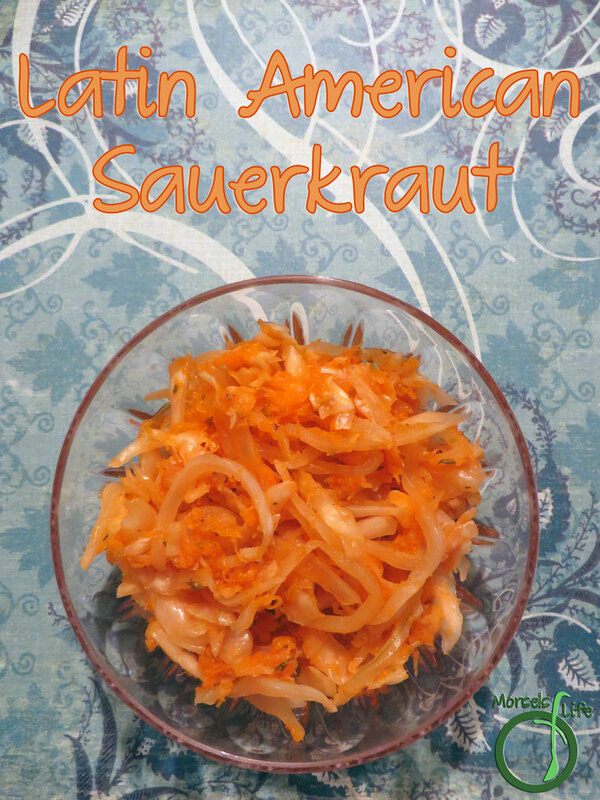 This week, I'm sharing some sauerkraut with a bit of Latin American flair. I'm not sure how authentic this recipe is since I've never had cortido and I didn't use any pineapple vinegar to make this Latin American sauerkraut. Even though I can't vouch for the authenticity of this recipe, I can definitely attest to it's tastiness! 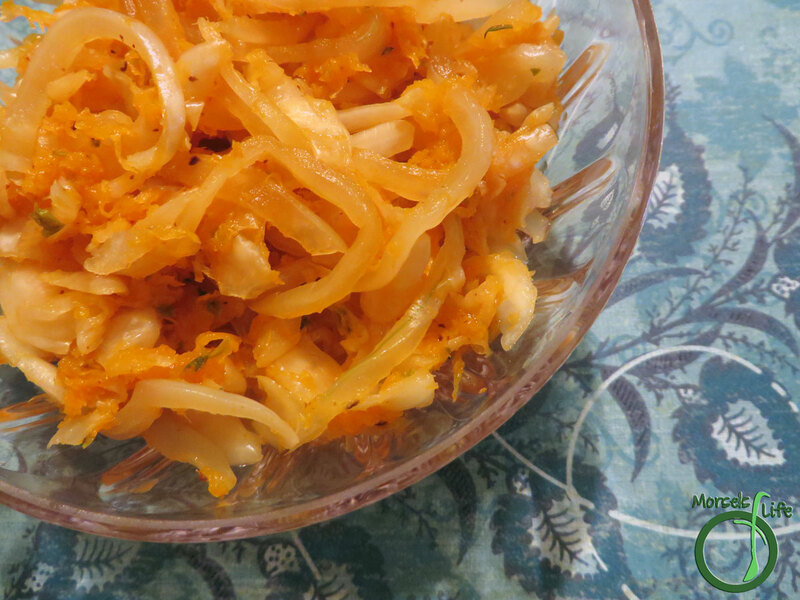 I really liked the flavor as well as the bit of sweetness onion added to this sauerkraut. You could also make this Latin American sauerkraut by using pineapple vinegar instead of whey and salt. Prepare everything the same, and then add enough pineapple vinegar to cover all the other materials. 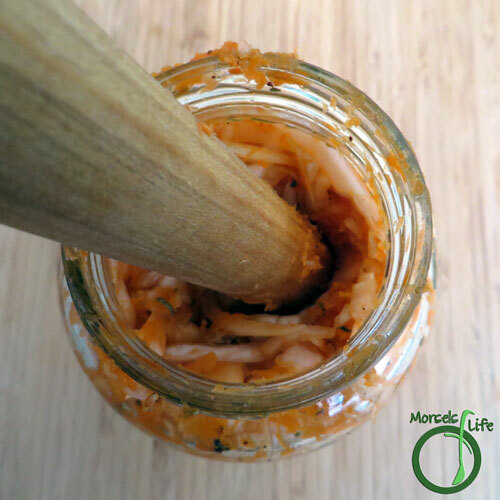 Do you prefer fermenting with whey or pineapple vinegar? 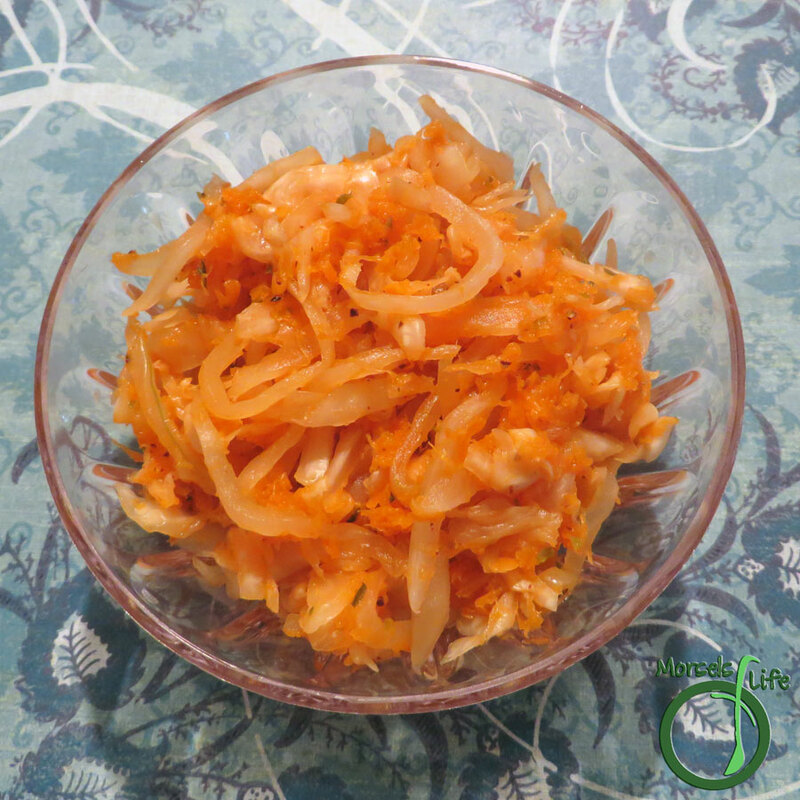 A Latin American-inspired sauerkraut with carrots, onion, and a bit of oregano. Perfectly accompanies any Mexican or Latin American meal! 1 tablespoon whey I strained some from my kefir. You could also strain it from yogurt. Just make sure it's got some cultures in it! :) Or if you prefer not to use whey, you could increase the amount of salt. 3. Place mixture into a jar, and press/beat down until liquid covers all solids. 4. (Optional - Place a layer of plastic film on top to decrease exposure to oxygen. 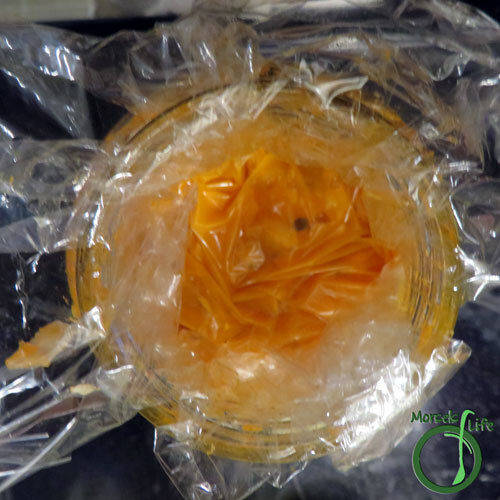 I like to use this layer of plastic film to slow evaporation and decrease air exposure, but as long as the sauerkraut is covered in liquid, you should be fine.) 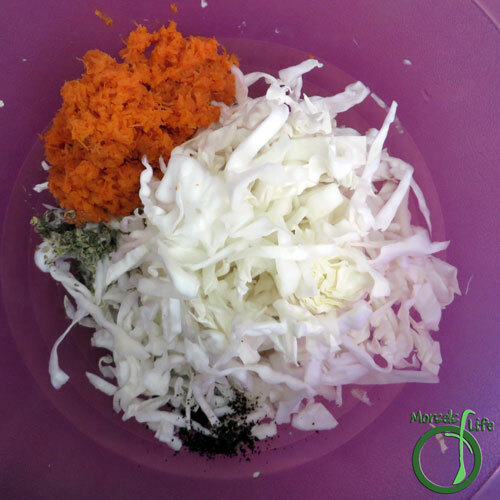 Allow to ferment at room temperature, tasting the sauerkraut to determine if it has fermented enough. Once fermented to your taste, store refrigerated. What an interesting take on this dish! Oh yum CJ! I want this with eggs!! Thanks so much for linking up at #SaucySaturdays. I've never heard of such a thing, but it sounds great! I love sauerkraut - so I have to think this would be even more delicious! Thanks for sharing with us at #TryaBiteTuesday - pinned, yummed & stumbled to pass the word! Have a fabulous week and hope to see you back tomorrow for another party!